The applause elicited by the declaration was modest given the reputation of the declarant as a shifty mental case. The President made a series of announcements distancing himself from the US, UN, and EU and anything that has “united” on it. Ironically, right after his victory from the polls, he sought the commencement of a healing process brought about by partisan politics. Out of the 45M who went out and voted, 16M went to the sitting President. In other words, he has not convinced some 29M who went to the other protagonists. As we have no RUNOFF, the first and second bets did not spar it out again and the topmost vote getter, no matter how slim or less than the majority he gets in the electoral exercise, takes the cake. But that is how our political process or cookies crumble. The legal way of changing regimes is six years apart while the extra-legal can sneak anytime with or without the heave-ho of Uncle Sam. Gringo’s Tora-Toras were buzzed off by fighter planes from Clark while one Aircraft Carrier is docked somewhere near the Caballos’ Fort Hughes off Manila Bay. First off, right after the 100-day in office of the sitting President, the Ex-Pres. hurled his first volley. “Of course, we are talking only of the first 100 days. We do not indicate here a wish-list of our highest aspirations to be achieved in the six years of the President’s term—but only what could have been do-able by P.Digong, if he had hit the ground running instead of being stuck in unending controversies about extra-judicial killings of drug suspects and in his ability at using cuss-words and insults instead of civilized language,” Ramos said. Without waiting for another whiff of fresh air, the Ex-Pres let go another salvo. “In the case of his recent ‘Hitler quip’ no amount of apology could mollify the long-suffering Jews who have done well for the Philippines,” Ramos said, noting the “rich history” of the country in hosting international refugees, including Jews during World War II. A week after, the Ex-Pres went “when he cussed Secretary-General Ban Ki-moon of South Korea, many of us who are Korean veterans of the Korean War of 1950-53 felt hurt,” said Ramos, who was part of the Philippine Expeditionary Force to Korea (PEFTOK), the Philippine Army contingent of the UN forces that fought in the Korean War. In the same forum, Ramos followed up, “I consider President Obama a great president in the sense that he’s the first black American to make it all the way to the top. It’s like a Mindanaoan making it all the way to the top to Malacañang. It’s that kind of a struggle of a minority,” added Ramos. Before his resignation, the Ex-Pres was mobbed by reporters if there was animosity that ensued between him and the sitting President right after the latter’s visit to China. The Ex-Pres is clear that no bad blood existed between the two leaders claiming it was merely a variance in perspective. 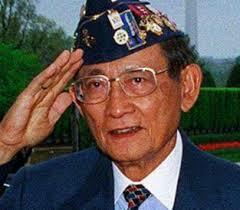 Nonetheless, FVR resigned soon after. In his letter of resignation, the Ex-Pres said, “This letter is my resignation as your special envoy to China. But more important, it is also an affirmation of my full support of the national interests of our Team Philippines of 100.5 million Filipinos that you now lead,” he added. Going back to the numbers, “100.5M Filipinos” is a subtle reminder that Rodrigo Duterte gathered a measly 16% only of the total. 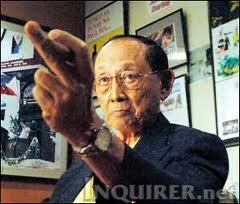 On the assumption that the 34M registered voters are “ninjas looking for a shogun”, FVR fits the bill. Of course we have Senators Leila de Lima and Antonio Trillanes who hold fort against the onslaught of the Duterte Juggernaut. However, these two gentlemen are left to their own devices by their party mates. Ping Lacson spreads the Gospel of Rodrigo while Frank Drilon, who obviously is still reeling from the death of the Odictas and the public indictment of his relation IloIlo City Mayor, Jeb Mabilog, as drug lord protector, chooses to be a pious spectator waiting for a viable Gladiator within the mold of Russell Crowe to blandish his Katana. The Senate indeed has lost its reputation as the originator of republican second opinion. We begin to miss the lambastes of Joker Arroyo and the pedantry of Miriam Santiago. Fear has created an indelible mark on the local officials, the bureaucracy, and the populace. Majority in the Senate turned coy when the Davao strongman ascended to power. Thus Duterte has his share of the warlords in these parts. He has the loyalty of the Singsons, the Angaras, the Villars, the Espinos, the Fuentebellas, the Alvarezes, the Mangudadatus, the Dimaporos, the Garcias, the Suaezes. 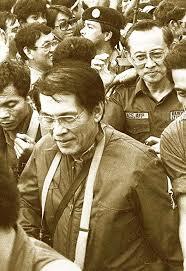 He also has the fealty of the famous Tulfo Brothers, Barako all. One pundit was heard saying, “first time, nagsama-sama ang mga siga.” Another kibitzer commented, “mahirap ma-outside the kulambo, baka mamarkahang Tulak. Tapos ka kay Bato!” referring to General Ronald de la Rosa, the country’s chief of police who doesn’t carry a big stick but is obeyed by a clandestine police hit squads, reminiscent of J. Edgar Hoover’s The Untouchables. FVR has nothing to lose. He is 88 years old and from the diatribes of Duterte supporters, “a mischievous old man.” This attribute however, causes nightmares to the Duterte regime. Can FVR attract the 34M on his side? The West Pointer can have some assistance from Roy Golez and Jun Abaya both alumni of Annapolis and run aground the local boy who was Mayor and became President. But who would be behind the old man and his “cabal”? We are not talking about the couple of fighter planes buzzing around Pandaca or Alcove Residences and the Aircraft Carrier docked in Balut Island off Sarangani Bay.